Durkopp Adler 281-140342 plain machine direct sewing drive integrated in the machine head the new generation of high speed sewing machines 281 sets new standards. The Semi-Dry-Head with minimum lubrication of the needle bar and hook lubrication avoids stains on the work pieces and guarantees quiet running and durability. Push button for manual back tacking, improves the handling in case of difficult sewing operations. The hand wheel for adjusting the sewing foot pressure allows a quick and reproducible adaptation to various materials. 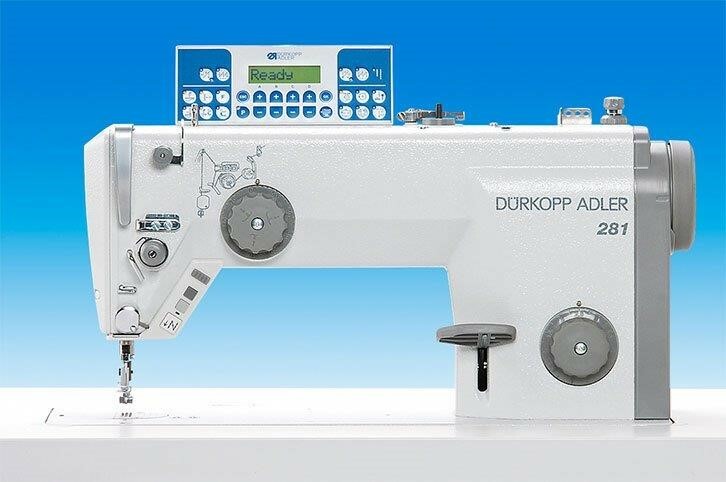 Apart from the thread nipper for a neat seam beginning, the thread trimmer and the automatic back tacking the basic equipment of the 281 also includes the motor control panel as well as sewing equipment for light-weight to medium weight material. The machine is also equipped with an electromagnetic sewing foot lift. 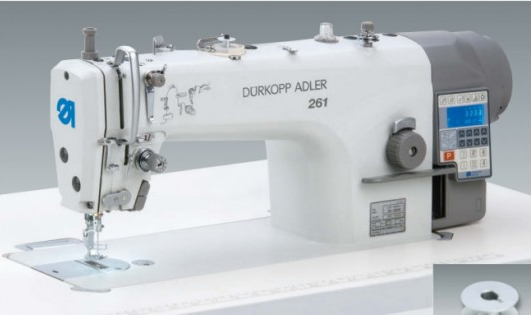 Typical GC6730MD3 Direct-drive High-Speed Lockstitch Sewing Machine with Drop Feed. Standard fast seamer for light to medium materials. Needle bar stroke: 31 mm. Clearance under the arm 300×136 mm. Automatic enclosed lubrication system. Max sewing speed 5,000 spm. (GC6730MD3). Max. fabric clearance 13 mm with knee lever. The single needle lockstitch machines are equipped as Standard with bottom feed and automatic functions like sewing foot lift, back tacking and thread trimmer. 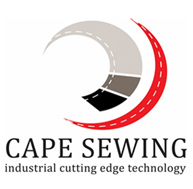 They are ideally suited for light-weight and medium-weight to heavy-weight material and therefore universal machines for the garment industry. The minimum oil lubrication of the needle bar and the hook ensures a clean sewing area and guarantees a long Service life of the machines. 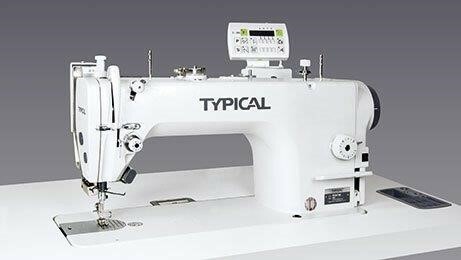 The integrated control panel enables quick settings for indvidual and carefree sewing.